Following on from Skyfall was always going to be a bit of a challenge. Back in 2012, Sam Mendes hopped on board the James Bond franchise and gave us arguably the most talked about entry ever. Many hailed it, even, as the greatest Bond film yet. It became the first Bond film to be nominated for Oscars, even going on to win two. It was the highest grossing Bond film of all time. It was, in short, a fantastic film that wasn't afraid of slowing things down a bit and focusing on character work because it had such a compelling story to fall back on. Skyfall consistently bounced between action and dialogue, and every transition is smooth and effective. This is where Spectre fails, even as a film in its own right and without comparisons to its predecessor. Much like Skyfall, Spectre fluctuates between action and dialogue consistently, but it just doesn't do it particularly smoothly. Certain scenes feel shoe horned in to make room for something else to follow, characters are woefully underwritten in order for the narrative to advance. There's a hell of a lot of fun to be had with Spectre, it just fails to live up to the mark Mendes laid out with Skyfall. Following unofficial orders from M before she died, James Bond (Daniel Craig) obtains a ring marked with an octopus symbol. After having it tested by Q (Ben Wishaw), he gains the help of Moneypenny (Naomie Harris) and attempts to uncover what the organisation linked with the symbol are planning. Meanwhile, the current M (Ralph Fiennes) fights a power struggle against the head of a new Intelligence Service who wants to destroy the the '00' programme in favour of a technological replacement. As can be seen, Spectre essentially tells two stories simultaneously, and it does an admirable job of bringing them together both with smart parallels and narrative twists, but it also drops focus entirely throughout the middle act. We can cover that more later, though, as Spectre has all the groundwork to be a classic Bond film, but its execution just isn't quite ambitious enough to pull all of this off. It becomes one of those frustrating films that's an absolute blast in the moment but is difficult to go raving about after, and the longer you think about it the more you start to pick it apart. This is doubly frustrating when both the beginning and the ending of Spectre are absolutely breathtaking cinema. The film opens with a digitally stitched long take, starting far back before locating Bond in a crowd at the Mexican Day of the Dead festival, we then follow him into a bedroom, and then out again as he fleets across the rooftops. It's a stunning piece of cinematography, and seamlessly edited. It's the sort of bravura film making that helps boost something standard into something superb, and it's bolstered further by the exhilarating action sequence that follows it. Most films save a fight inside an out of control helicopter above a large crowd for their final act, but Spectre uses it for scene one, and absolutely nails it. I can't say as much about the end without leaking into spoiler territory, but the final half hour is equally as exciting. After that frustrating slow patch that we'll come to soon, Spectre pulls everything back together and ends on an outstanding high. Everything the film works towards, even with its flaws, comes together seamlessly and it sticks the landing easily and in unpredictable ways. Which is why it is so frustrating that everything falls apart a bit in the middle. The film just loses grasp of its own narrative; the story essentially grinds to a halt, the characters lose what makes them interesting and the action becomes substantially less exciting. I can't quite pinpoint yet what causes this, but for forty five minutes in the middle Spectre just becomes painfully average. It's never an actively bad film, and there are some good flashes in this middle act, but it's painstakingly weaker than the two acts that surround it. Lea Seydeux gives the best performance she can offer, but her character becomes messy; she begins as a compelling and thought out individual, and then her sole purpose is to be the damsel in distress to get Bond from one location to the other. The scenes back with MI5 in England slowly become monotonous and repetitive, we don't get any sense of progression across act two. I know it's frustrating to make this comparison so often, but it's difficult not to; Skyfall also slows down in the middle, but its story allows it to, and things stay interesting. Spectre just doesn't make enough of its story early on to allow act two to pull off this sudden change in pace, and things slowly begin to feel flat. And then Christoph Waltz comes in and saves the day. Renowned for his incredible Oscar winning performances in Inglourious Basterds and Django Unchained, he may not have as many smile-inducingly brilliant little flourishes here (it isn't a Tarantino script, after all) but he does more than enough to revitalise a film that was begin to feel tired. His character is undeniably compelling, nicely tying together Craig's entire Bond arc thus far, but Waltz elevates this to extreme new heights. He's a wonderfully commanding on-screen presence, so much so that his first full sequence at the end of the second act had people shuffling in their seats. Craig is also reliably strong, he plays Bond with an overarching sense of style and sophistication and it makes him thoroughly enjoyable to watch. Despite what he may or may not claim in interviews, he seems comfortable and relaxed in the role, and it makes Bond all that more charming and likeable. That said, he's equally capable of busting out of this comfort zone into darker territory. The look on his face as Waltz' Blofield plays one particular video tape to Seydeux's Madeleine Swann displays more emotion than some films manage to pack into an entire narrative. Even throughout that dull middle third, Craig is an absolute delight on screen. There's lots more to like, too. Ben Wishaw steps his game up from Skyfall, giving a funnier and more natural performance; the same can be said for both Fiennes and Harris, too. Andrew Scott is also excellent as the Intelligence Service agent rivaling M. In fact, all round the acting here is pretty stellar, as is that opening sequence and the entire final act. There's also a repeated but consistently thin look at Bond as a person with a heart, which is enjoyable but frustratingly underused. In fact, across this review you may have noticed the word "frustrating" popping up rather frequently. That's because it's the best word to describe Spectre. When you get simply bad films, they're more disappointing than frustrating. 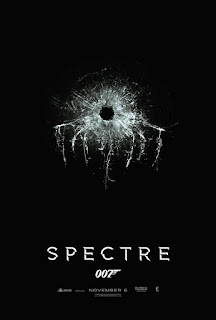 Spectre is not a disappointing film, far from it. It's just frustrating in that it has so much potential, and it doesn't quite deliver it all. This fantastic cast working under Mendes' direction has all the makings of some excellent cinema, as we saw with Skyfall, but Spectre falls short of that mark. With some narrative tweaking (this film needed more Christoph Waltz), and some character adjustments (Lea Seydeux needed far more to do) Spectre could have been something truly special. But alas, it just isn't. And that's what makes this film so, well, frustrating. To Summarise: Despite a sketchy middle act and occasional character issues, Spectre remains a worthy addition to the James Bond franchise, due mostly to some terrific action sequences, an exhilarating final act and a plethora of assured performances from a dedicated cast.